Hook Properties is a residential development and construction company, focused on bringing design focused boutique residential product to Washington, D.C. and the surrounding area. With specific expertise in Historic Properties, Hook always aims to innovate and create special product by taking advantage of unique existing aspects of each renovation..
C. Adam Stifel is the founder and owner of Hook Properties. 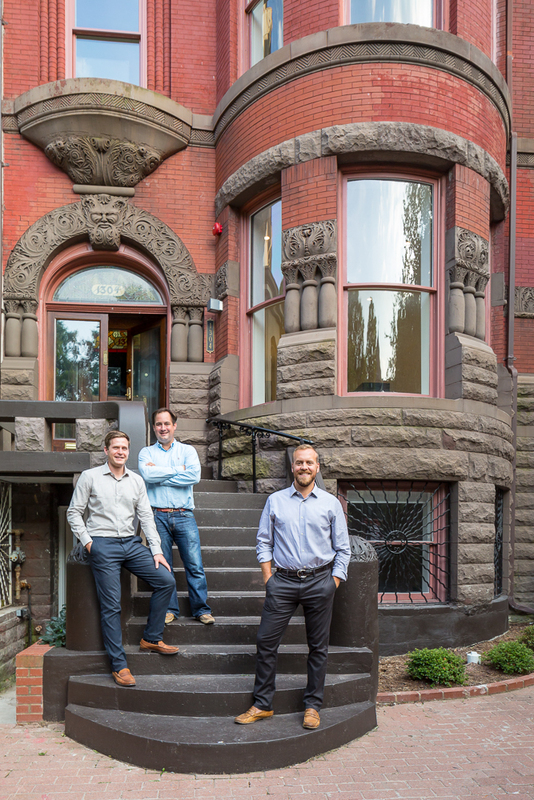 Prior to creating this company in 2016, Adam was the co-founder and co-owner of CAS Riegler Companies, a full service real estate development firm specializing in urban In-fill projects in Washington, D.C. Adam also Co-founded Snead Construction and The Property Portfolio(Property Management). Having started his career as a commercial real estate broker, Adam has been in the Washington Real Estate industry since 2003, and started his first company, CAS Riegler, in 2009. Adam has sponsored acquisition and development of over 20 projects in the Washington region, totaling over 400 Million in project costs over roughly 9 years. Adam lives in Bethesda, MD with his wife and two daughters. Associate with Hook Properties, Jake is responsible for leading all aspects of the development process from acquisition through completion. Jake has managed a total of 5 projects at Hook Properties totaling 32 units and over $20 million in capitalization. Prior to joining Hook Properties, Jake worked at CAS Riegler Companies and ComfortSystems USA in construction management. His project experience ranges from infill multifamily and mixed-use to laboratory and classroom buildings. He earned a Bachelor of Science in Mechanical Engineering from the University of Virginia and a Master of Professional Studies in Real Estate from Georgetown University. He is an active member of the Urban Land Institute (ULI) and serves on the Special Events Committee and participates in the Young Leader's Group. John is a Senior Project Accountant at Hook Properties, assisting with cost tracking, draw funding, and financial analysis. John works to ensure that costs for all projects are recorded accurately, compiled for draw funding, and paid timely. He came to Hook by way of Vornado/Charles E. Smith and has performed accounting analysis and bookkeeping for capital improvements both large and small, as well as property management accounting. At VNO/CES, John assisted the construction management department with continued renovations of aging restrooms and corridors, as well as build outs of new tenant space. He graduated from the College of William and Mary in 2008 with a bachelors in Accounting. Prior to joining CAS Riegler, Kyle was a Senior Fund and Project Accountant at the JBG Companies where he was responsible for the accounting and financial analysis of a portfolio of real estate projects including commercial, residential, development, hotel, mixed use, and the associated private equity real estate investment funds. Before joining JBG, Kyle worked at KPMG LLP in the assurance practice where he had a diverse set of clients including The World Bank, BAE Systems, and the American Diabetes Association. He is a Certified Public Accountant (C.P.A.) and has a B.S. in Accounting from the Pennsylvania State University. Prior to joining CAS Riegler, Mike worked in several industries, including: commercial-banking, utilities, hotel ownership & management, international/national tradeshows and commercial, residential, mixed-use real estate development & management with private equity. Within the aforementioned framework, Mike has held the titles of: Senior Financial Accountant, Corporate Operations-Controller, Vice President/Controller and Chief Financial Officer. Mike is a Certified Public Accountant Candidate, with the state of Maryland and a Certified Network Administrator (CNA). He holds a B.S. in Accounting from the University of Maryland University College.